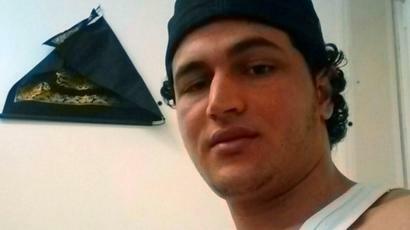 The Tunisian man wanted for the Berlin lorry attack had been under surveillance, media say. Turkey sees its worst losses yet since intervening in Syria, with 14 soldiers killed in clashes with IS. Russia’s President Putin acts to curb surrogate alcohol, after 62 die from drinking bath lotion. Can police protect Christmas crowds? Who was Russian ambassador’s killer? Associated Press Cop does speeding college student a favor by tying necktie MENOMONIE, Wis. (AP) — A Wisconsin police officer who stopped a speeding college student who was late for a presentation ended up tying his necktie for him.